Hello all, although I've been a casual visitor here for a long time it is only in the last couple of weeks that I've been able to get hold of a decent sharknose. I've yet to go through it fully with a list of things to do but it runs and drives after being in storage for many years, so that's a great start! The only obvious issue is on starting it'll idle fine but bogs when the accelerator peddle is even lightly touched unless it is mashed to the floor and then it'll take a few seconds and then rev hard and after that blipping the throttle presents no issue....any ideas? Anyhow I've attempted to resize a photo... may add more if it works..so here goes. Oh and it was imported from japan in '87 a year after production...does anyone recognize what type of body kit is used? Interesting nose stripe. Has the bonnet been replaced? Please post more pics! Also curious why the striping wasn't continued over the bonnet, etc. I'm not sure when the stripes were added but they are painted rather than vinyl or transfer so I'm guessing a while ago. side skirts are detatched in some areas so will have to work out how to get them fixed, it looks like they just push on? 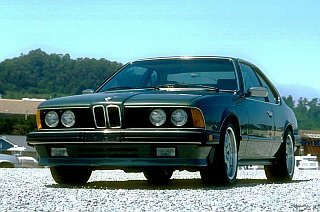 Is rear standard M6 as well? If there is one thing I have learned, it's that these grand ladies require commitment. Or maybe it's more that those of us who own them should be committed? Welcome to the madness, and the forum. There is a tremendous amount of help in this place, and very strong sense of camaraderie.